On March 1, Future Day, six international futurist organizations will come together to conduct a 24-hour conversation about the world’s potential futures, challenges, and opportunities, according to Millennium Project CEO Jerome Glenn and Humanity+ Secretary Adam A. Ford. In addition to The Millennium Project, the organizations are: Association of Professional Futurists, Club of Amsterdam, Humanity+, World Future Society, and the World Futures Studies Federation. 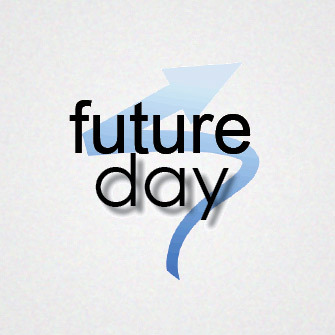 Future Day events worldwide are already scheduled in a number of more than 20 30 cities and countries around the world. “Wherever you are in the world, you are invited at 12:00 noon in your timezone to click on the Future Day button at the Millennium Project website or Global Futures Day to join this global video conversation about the future,” says Glenn. If the limit of interactive video conference participation is reached, new arrivals will be able to see and hear, but not have their video seen and voice heard. However, they can send a tweet including @futureday @MillenniumProj #FutureDay that can be read live in the video conference. As people drop out, new video slots will open up. “This is an open, no-agenda discussion about the future, but in general, people will be encouraged to share their ideas about how to build a better future,” notes Glenn. The idea for Future Day originated with Humanity+ Vice Chair Ben Goertzel at a Second Life conference on September 15, 2011, according to Ford, who has been coordinating Future Day in 2012 and 2013 and is founder and president of Humanity+ Australia and Science, Technology & the Future. The Millennium Project is a global participatory think tank connecting 50 Nodes around the world that identify important long-range challenges and strategies, and initiate and conduct foresight studies, workshops, symposiums, and advanced training. Over 4,500 futurists, scholars, business planners, and policy makers who work for international organizations, governments, corporations, NGOs, and universities have participated in The Millennium Project’s research since its inception, in 1996. The Project’s mission is to improve thinking about the future and make it available through a variety of media for feedback to accumulate wisdom about the future for better decisions today. It produces the annual “State of the Future” reports, the “Futures Research Methodology” series, the Global Futures Intelligence System (GFIS), and special studies. The Millennium Project was selected among the top ten think tanks in the world for new ideas and paradigms by the 2013 University of Pennsylvania’s GoTo Think Tank Index, and 2012 Computerworld Honors Laureate for its contributions to collective intelligence systems. The forthcoming 2013-14 “State of the Future” will be available in March 2014.